FRANKFORT, Ky. - The iconic Kentucky Bourbon Trail Craft Tour® is expanding with two new members in Lexington and Northern Kentucky, giving fans the opportunity to experience 13distilleries on the tour that showcases the state&apos;s burgeoning micro distilleries. Bluegrass Distillers in Lexington and Boone County Distilling Company in Independence join the fast-growing and impressive tour of Kentucky&apos;s finest craft distillers, established by theKentucky Distillers&apos; Association in 2012. The first of its kind in the country, the KBT Craft Tour is an adventure designed for those looking to try up-and-coming brands and meet the innovators behind the products. Visitors made more than 175,000 stops on the tour last year. "The Craft Tour offers the opportunity for visitors to experience our smaller distilling operations that are building upon centuries of rich traditions and heritage," KDA President Eric Gregory said. "They are the next generation of our timeless craft." In many cases, the distillery owners are the distillers, tour guides, maintenance crews and support staff, Gregory said. "Visitors are quite literally guests in their home office. It&apos;s a very intimate tourism experience." handcrafting quality products using organic and locally sourced Kentucky ingredients. 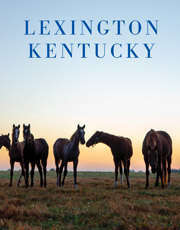 making our craft spirit right here in the heart of the Bluegrass." Located at 10601 Toebben Drive, Boone County Distilling Company has been making whiskey since 2015 and looks forward to welcoming guests to its beautiful new tasting room and visitor experience. "The Boone County Distilling Company is proud to join the ranks of the Craft Tour," co-founder Josh Quinn said. "Our goal is to uphold and honor the Kentucky tradition of carefully crafting exceptional Bourbon and Rye Whiskey like those who came before us." Participating distilleries in the Craft Tour include Kentucky Artisan Distillery, Crestwood, Barrel House, Lexington; Corsair, Bowling Green; Hartfield & Co., Paris; Kentucky Peerless Distilling Co., Louisville; Limestone Branch, Lebanon; MB Roland, Pembroke; New Riff, Newport; Old Pogue, Maysville; Wilderness Trail, Danville and Willett, Bardstown. The KDA recently announced that tourists made a record 1 million stops at Kentucky Bourbon Trail® and Kentucky Bourbon Trail Craft Tour® distilleries in 2016. The booming attraction has increased attendance by 300 percent in the last 10 years. payroll topping $800 million, pouring $825 million into tax coffers each year. Commonwealth and 6.7 million barrels of aging Bourbon - both modern records. "We proudly welcome Boone County Distilling and Bluegrass Distillers to the Craft Tour," Gregory said. "Its growing line-up, stretching to all corners of the Commonwealth, makes for an exciting itinerary for Bourbon visitors." and www.kybourbontrail.com or contact Eric Gregory at (502) 875-9351.